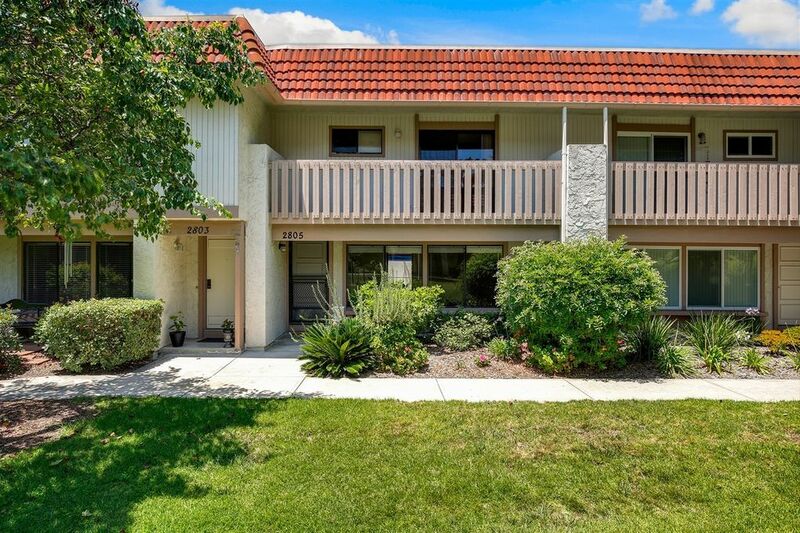 This 3 bedroom, 2.5 bath townhome is located in the desirable Carlsbad community of Tanglewood. This home offers a large and private back patio with access to 2 car garage, brand new carpet and fresh interior paint! All bedrooms are located upstairs and the master suite features it's own bathroom, walk-in closet, and covered deck which overlooks mature trees and greenbelt. This is also arguably one of the best buildings in the complex- quiet, interior greenbelt location! Two community swimming pools, spa, clubhouse, tennis courts, & children's playground. Located only about 5 -10 minute drive to beaches & fantastic downtown Carlsbad Village shopping & restaurants, and easy access to 78 and I-5 Freeways! Two community pools, spas, and clubhouses, tennis courts, & R.V. parking lot. Carlsbad schools are just icing on the cake! Directions To Property: From ECR, Head East on Carlsbad Village Dr., 1st Left Avd. de Anita, Right Calle Susana, Right on Avd. de Louisa. Park on street @ cul-de-sac or open visitor spots- you will have to walk in back to 2805.